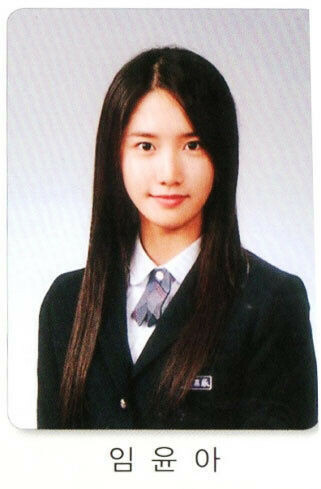 Back in 2009, Girls’ Generation member YoonA graduated from her Dae Yeong High School at Young Deunpo, Seoul, before continuing her study to college majoring in Theater and Performing Arts at Dongguk University. 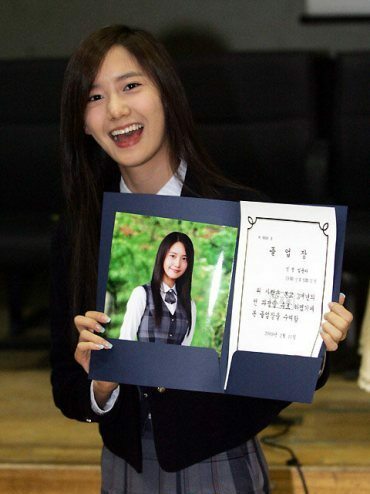 On February 11th, 2009, YoonA attended the high school graduation ceremony to receive the certificate of diploma, by dressing in high school uniform. Recently, the graduation photos of YoonA, who is starring in melodrama “Love Rain“, is making the round on Internet again. YoonA in the photos demonstrates a pure elegant and youthful girl-next-door beauty that is extraordinary. Netizens have been commented that the style of her during the graduation ceremony is even more suitable for her role of Kim Yoon Hee in the “Love Rain” drama.